As consumer confidence and incomes rise, home building activity in the Twin Cities metro area continues to rebound. According to the Builders Association of the Twin Cities (BATC), housing construction so far this year is up 23 percent from the same period in 2012, putting builders on a track for their best year since 2007. During June alone, 496 permits were issued to build 912 units. Minneapolis led the top five cities permitting 380 units. Brooklyn Park and Woodbury were in the second position with 31 units, followed by Ramsey with 29. Construction of new homes in Blaine MN, Chanhassen MN and Lakeville MN tied for fifth place with 23 units permitted each. 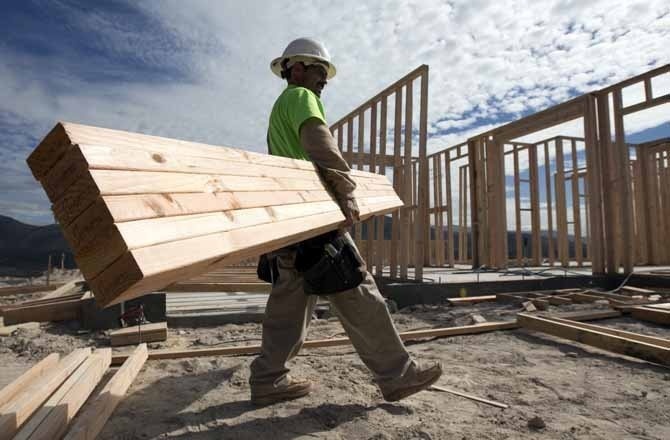 So far this year, builders were issued 2,379 permits to build 4,204 units, a dramatic change from this time four years ago when there were only 1,633 units. In the south metro, Lakeville continues as the busiest homebuilding market in Dakota County and one of the metro area’s most active. The city has recorded 172 permits since the beginning of the year through the end of June, up from 107 for the same period a year ago. 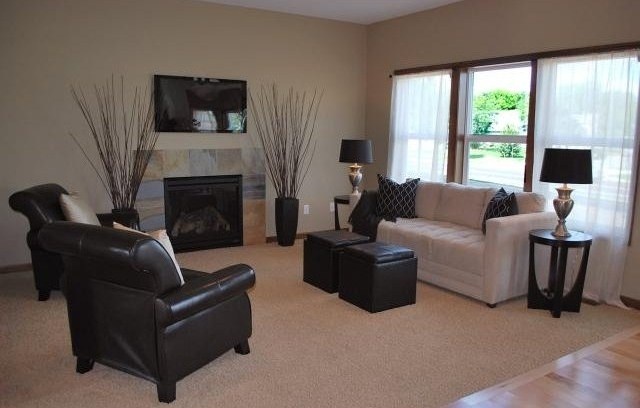 This single-family houseis located at 913 104th Lane NE in Blaine, Minnesota. This 2-story home is a new construction home that will be completed in 2011. It has 4 bedrooms, 3 bathrooms, and 1,898-square-feet of space. 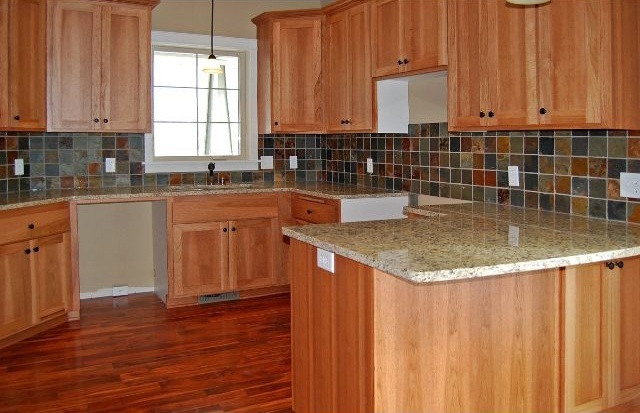 This beautiful home features a sleek gourmet Kitchen with granite countertops and Knotty Alder cabinets, maple hardwood floors, and ceramic tile. Large panels of windows and smaller windows in unique places allow for plenty of natural lighting in almost every room of the house. The yard for this property includes sod and an irrigation system. The home has a two-car garage. 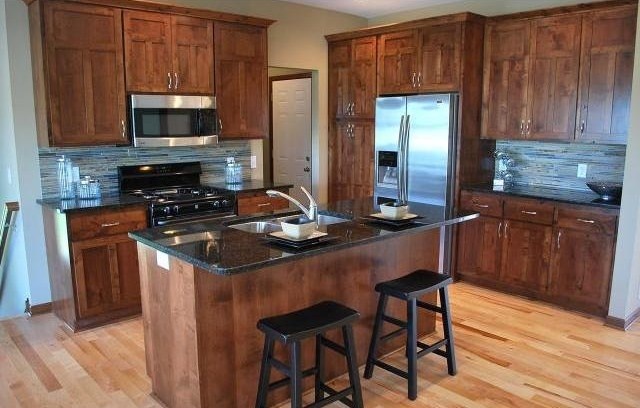 This new house in the new Blaine Haven Development could be yours for $267,000! 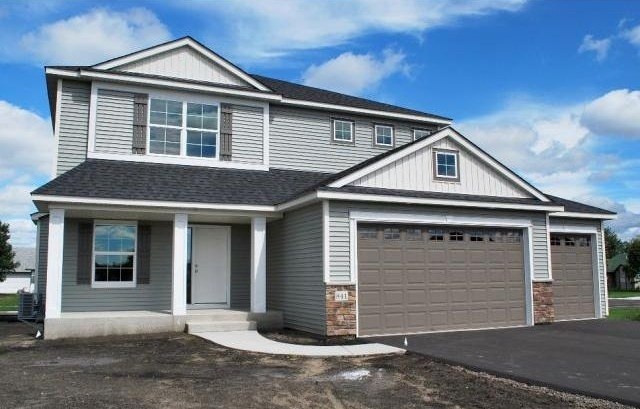 This single-family home at 12552 Quemoy Street NE in Blaine, MN, is a new construction rambler with 2 bedrooms, 2 bathrooms, 1,399-square-feet of space, and an additional 1,300-square-foot walk-out basement that could be finished. 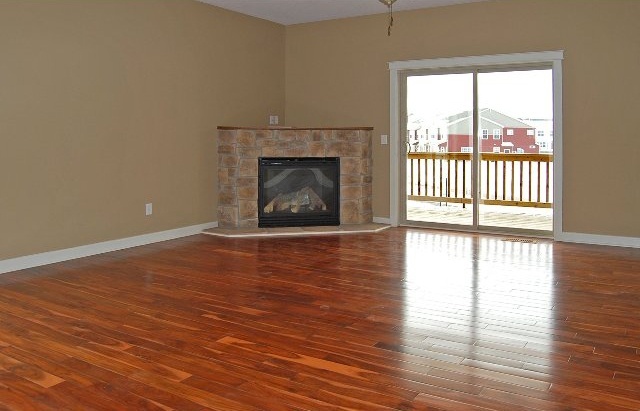 This home features hardwood flooring, stone tile, hickory cabinets, granite counters and a gorgeous stone fireplace. 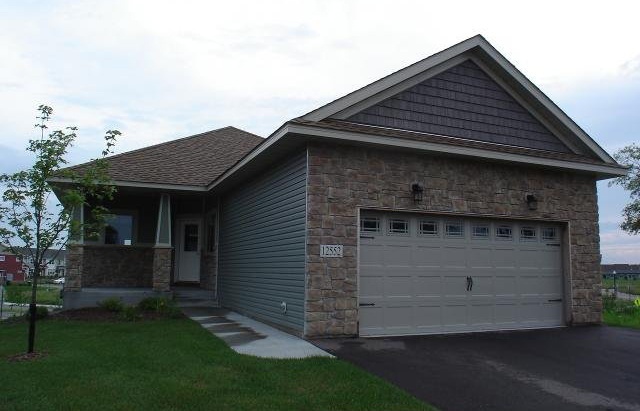 Located in the high-demand Legacy Creek development, this house could be yours for $229,900! Browse more Blaine MN Real Estate. Midwest Home magazine has kicked off its 10th annual Twin Cities summer luxury home tour this month. The tour features 15 upscale homes valued from $900,000 up to $5 million. Homes on the tour are sprinkled throughout the metro, from Blaine to Prior Lake, Minnetonka to Lake Elmo. Tour times are 1 to 7 p.m. on Fridays, June 18 and 25, noon to 6 p.m. on Saturdays (June 12, 19 and 26) and Sundays (June 13, 20 and 27). Tickets are available at Caribou Coffee locations and at the tour homes. All proceeds will help to support Minnesota Public Radio. For further information on the luxury home tour go to www.luxuryhometour.net. The number of residential building permits issued in the Twin Cities during November 2009 grew 28% over November 2008. According to numbers released this week by the Builders Association of the Twin Citiies, permitted units were also 37% higher. So far this year, building activity is down 11.5% from 2008. Construction is still far, far below numbers from 2007 and the precedeeding years. Minneapolis had the most building activity for the month with 218 units, 175 of them for a single building project. Lakeville MN came next with 45 units. Blaine MN, Savage MN, and Maple Grove MN pulled permits for 41, 29 and 28 units respectively. November saw the highest number of units permitted for any month this year; total permits in November were the third-highest in 2009. Permits tend to increase in November because builders want to get foundations down before the ground freezes. The numbers come on the heals of reports that home prices and sales in the Minneapolis - St. Paul area increased in September and October. Prices in the Twin Cities have shown the greatest increase among many metro areas. Our real estate market here in the Twin Cities seems to be quite resilient. It is two years later than expected but in Blaine MN, two new parks are nearing completion. They will open next spring. The Blaine Athletic Complex is a 22-acre park with four lighted tennis courts, a half-mile of new trails, two baseball fields, a basketball court and a freshly seeded field for football, soccer and lacrosse. Lakeside Commons Park features 170-acre Sunrise Lake, a 14- to 18-foot-deep man-made lake that was dug by Emmerich Development Corp. of Andover in 2003 as the namesake and top amenity of the 1,045-acre housing development. The park features a boathouse that will include watercraft rentals, a 50-foot dock, a beach house with restrooms and changing facilities, a 100-person picnic pavilion with a large, built-in grill and electrical outlets, a playground, jogging and biking paths around the lake, and "splash pads" with motion-sensored water jets that come up from concrete squares. Before the man-made lake, Blaine didn't have one. Now it has a 300-foot sand beach and swimming area. The parks are a major expansion of Blaine's parks and recreation offerings. The $2.4 million parks were funded largely by park development fees from the Lakes housing development collected since 2003 when the housing boom was still in action.